← Shutting Down the Plumes? Pope Francis at Vatican unveiling – October 27. Pope Francis has been in the news for the past few days. 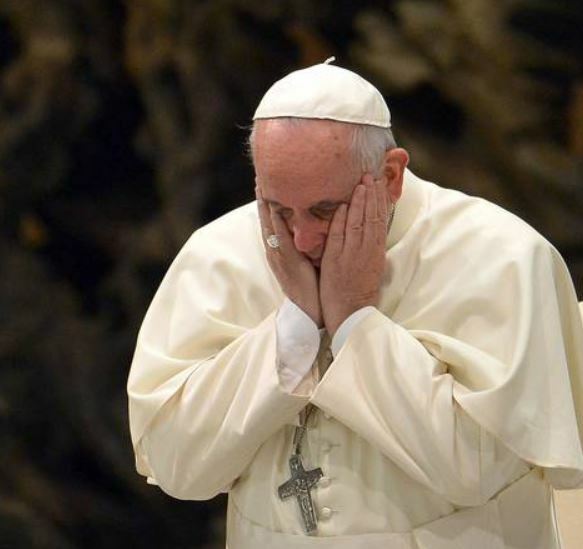 The pontiff has a habit of saying what he’s thinking and he sometimes does this at surprising venues. 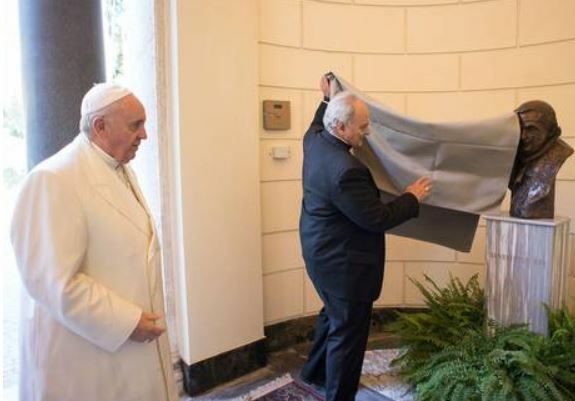 This time he was speaking at the unveiling of a bust of his predecessor, Benedict XVI. While there, the pope decided to share his thoughts about evolution, creation, and the Big Bang. It is not surprising that Francis would say this. The Church has accepted the science of evolution for 60 years. Pius XII said as much in the 1950s; in the 1990s, John Paul II said evolution was “more than a hypothesis” and was “effectively proven fact.” The Catholic Church has evolved a lot since the days of Inquisitions and the silencing of Galileo – today it favours science over superstition. So God does not do magic tricks for us. Of course the pope sees God as central to all Creation and Francis adheres to some unique specialness that humans have which is absent in all other forms of life. Although the Church clearly sees no conflict with the evolution of humans from primordial soup, the pope asserts that somewhere along the way souls were inserted into humans. This is a tough thing to reconcile. It implies that as life evolved there was once a generation (A million years ago? 60,000 years ago? 7,000 years ago?) in which some un-souled humans gave birth to some humans with souls. That’s a hard one to understand, although some members of the Catholic Church suggest that a unique couple – let’s call them Adam and Eve – were the first pair with souls and the rest of us were given souls (at conception) from that day onwards. Sorry, I am not a theologian so I can’t explain quite how that might work, but you can get an idea of the trouble this reasoning may create. But there is more that Pope Francis told us. “The Big Bang, which today we hold to be the origin of the world, does not contradict the intervention of the divine creator but, rather, requires it. . . When Pope Francis says the Big Bang is held to be the origin of the world, he means that the Catholic Church accepts the cosmological statement of the Big Bang. Something had to ignite the Big Bang that brought the universe into existence. That, says Francis, was God. This is hard to argue with. Hard to prove. But hard to disprove. After that moment, implies the pope, God put away his magic wand. As a geophysicist, I find this very refreshing. When I think about the 40% of Americans who believe the Earth is less than 10,000 years old, it saddens me. It’s almost tragic that people who can microwave their food, ride elevators, sit inside aircraft, and tune into Fox with a remote, can also believe that little boys used to ride around on the backs of dinosaurs. But then Pope Francis appears. I know, he’s not an American. (Not a North American, that is.) But he vocalizes the thoughts of the silent 60% of Americans who understand the workings of modern biology and geology – with its billions of years of slow steady changes. And that’s a good reason for me to keep writing about the Earth – knowing that there are people who are curious, alert, questioning, and thinking. This entry was posted in Culture, Philosophy, Religion, Science Education and tagged Creation, evolution, history, Pope Francis. Bookmark the permalink.